Sometimes the postman brings wonderful things. Look what dropped through my letter box today and it's full of stories by people I know in the blog/forum sense: Aaron A Polson, Nate Lambert, Natalie L Sin, Brandon Layng, Joel A Sutherland,Barry Napier, Bobbie Metevier, Patrick Rutigliano, R Scott McCoy, Ian Rogers, JC Tabler, Jeremy Kelly, MG Ellington, Jusin Pilon, Mary Rajotte, Michael J Hultquist, Mike Stone, Gina Ranalli, Brendan P Myers, Alex Moisi, and anyone I've missed out - oops! Isn't the internet a wonderful place. 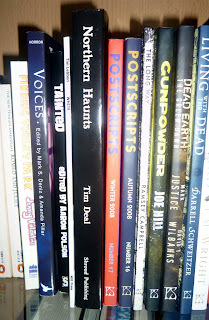 You have a delightful little collection of small press goodies there. 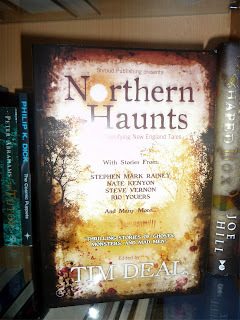 Northern Haunts is wonderful; glad to share a TOC. I do don't I - and hopefully it will grow during 2009. My dad got his, too. My sister told me she liked my story about a giant toad. There was no giant toad! At least your sister pretended to read it. My brother just scoffs and then tells me what he would have written and how much cooler his idea is. Boo! Adding a grin :) in case he's reading this. Argh! Now I'll never be able to stop checking my mailbox! Worse yet, my folks can't remember if they pre-ordered the soft or hardcover version for me for Christmas. I may have a looong wait ahead of me, but danged if that doesn't look lovely on the shelf. Fingers crossed you get your copy very, very soon. 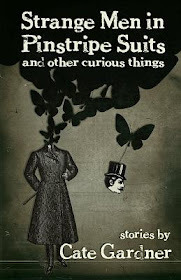 I love the cover, and know a lot of the people inside. I think I'd best order me a copy. Oh, cool! I love getting stuff in the mail, especially stuff to read! Very cool. I have to scrounge up some cash and order a copy. So cool that so many of us are in there together. And I 2nd Aaron's comment...lookit you supporting the small presses with that awesome collection! Jamie, cash is a dirty word this month. Barry, we rock! Oh wait, too egotistical - you all rock! Much better. That's only part of a shelf, not a collection. Appreciate the shout-out, and congrats on your own continued and remarkable success. Thanks again. Took me a minute . . . LOL! Nah, I kick it every chance I get, to kind of put it in its place, knowing it will inevitably win and I'll be stuck looking up at it for eternity. It's a great collection but very, very addicting. I didn't get anything done yesterday becuase I kept reading the stories in it. Just another one, it's so short, why not? I really liked the one you wrote about the Pine tree, it gave me the chills. Thanks for mentioning my little pine tree. You, Patrick, Natalie, and Bobbie. And Aaron and Barry a little bit. How cool! Sounds like it'll be a good one. Super fun to find a package like that. It looks super-Dee-Duper. How cool...and I know like half'a them folks! woohoo! 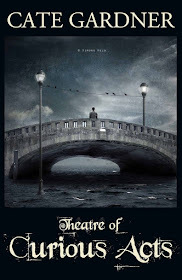 Congratulations Cate and everyone else in Northern Haunts!